Finding the right material for the right job is critical if your are going to build a product which is durable, lightweight, and affordable. Here, Mr. DiGiacopo is holding a puck of Aluminum to demonstrate how a cream whipper body is produced. It takes a big machine to ‘hit’ that puck so hard it ‘flows’ into a mold! That is called a shot extrusion. Many finishing steps take place after the main shape is achieved. Secondary machining produces the fine lines and precision threads on all of our products. Instructions and ESPUMA valve included. Colorful POP White Display Box. 6 per carton ship via UPS. Mix and match as needed. UPS Ground ships, 4 pounds. 93%of the time in stock. IMPORTANT: UNITS DO NOT COME WITH GAS. We suggest you order at least 6 boxes of cartridges and several packs of stabilizer. 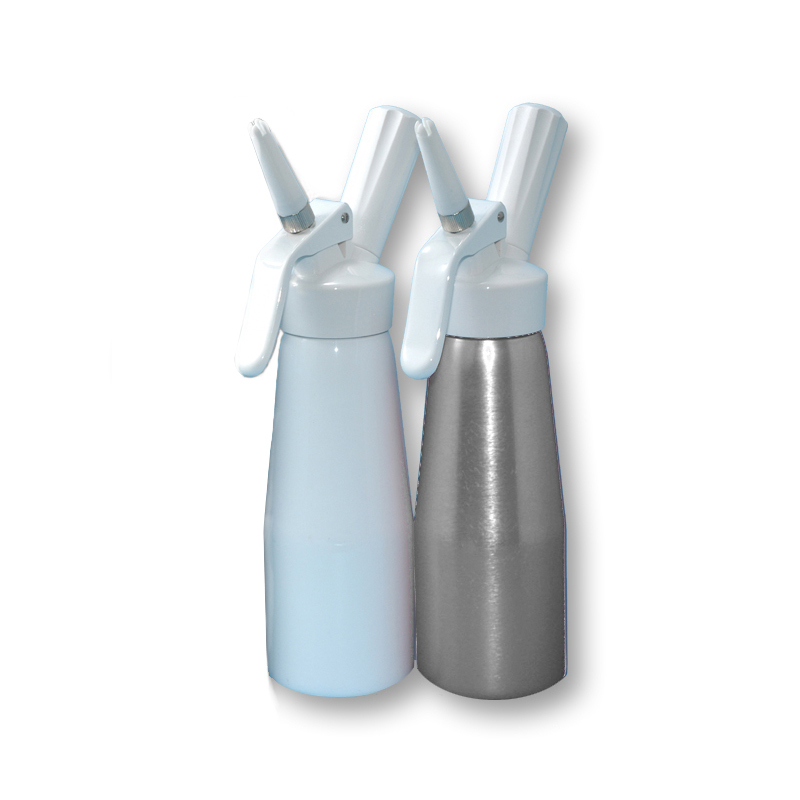 Metal head and body, metal charge holder, Instructions, cleaning brush kit, 10 Leland N20 Cartridges and Stabilizer pack included. Colorful POP Black Display Box. 1-6 per carton ship via UPS. Pure triple filtered food grade gas in blue painted cartridges. Colorful POP Blue/Yellow Display Box. 25 boxes of 24pc boxes per carton , 36 boxes of 10pc boxes per carton ship via UPS. Made in small batches exclusively for DiGiacopo. You don’t have to go to Austria to obtain the finest gas from Europe. Loose boxes and cases ship ground UPS daily. 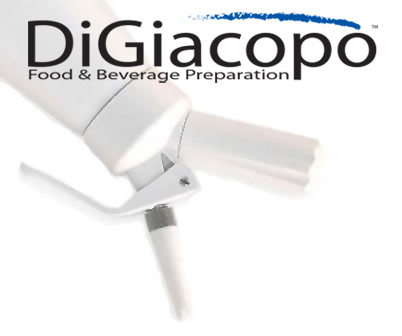 Donato DiGiacopo European Imports provides easy directions for their Cream Whipper Products.